Nope, she's the wholesome sister. MrPopo wrote: Nope, she's the wholesome sister. This doesn't really fix the core problem, however. This is my second play through of Halo CE in 2018, the first on oXbox hardware, so how the campaign was intended to run is fresh in my mind. Also, I am playing the original game, not the "turn on original graphics" mode of Halo Anniversary. I remember reading on forums back in the day that the last warthog driving scene in the Maw was impossible due to frame rate. Perhaps a later patch fixed this. I had no issues here on my 360E console. Earlier in the Maw, right before you get to the "destroy the 4 reactors" section, I ran into a few rough frame rate spots. Then they cleared up. Worth noting none of the issues above ever caused me to die. I also think some forget Halo 2 runs into a few issues on the 360 as well. It was a great experience playing this again. Still hard to believe a console FPS from 2001 stands up so well 17 years later. Happy I now have all 10 levels/maps saved on my 360. Realizing how much I like this campaign. 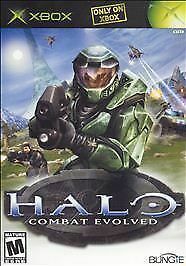 While Halo 2 may have the better multiplayer experience, I lean towards the Halo CE campaign as the winner there. 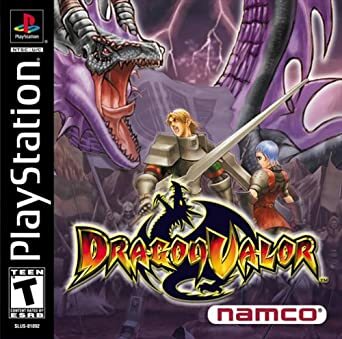 I beat Dragon Valor on the Sony Playstation 1 this evening! 2017 was a rather strange year for me. My unhappiness at my job came to a head and I eventually left in the summertime. Thankfully, I landed back on my feet a few months later. When I did leave, a coworker of mine gave me a card and a gift certificate to a local game store. So, while walking around looking for a game, I came across Dragon Valor. Surprisingly, it was still New and it was a game on my list. I found out about the game while searching for RPG's on Wikipedia. It seemed rather interesting, even though I heard nobody talk about the game, so I decided to give it a shot. In Dragon Valor, you play knights who are tasked with each of them destroying a different dragon. Each knight is a descendant from your previous character and depending on the choices you make, you will end up with different knights culminating in five different paths. The game is an action RPG played on the side. It has some light platforming, but it is mostly combat based. It kind of reminds me of a 3D Illusion of Gaia, but with very few puzzles. And surprisingly, all of this works really well. The generations idea is very unique and it is one of the first to really implement it into a game. I like the idea of the choices being made affecting your character and the children of your character. 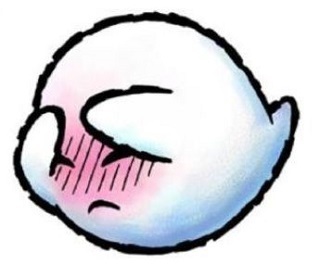 It is a little annoying for your characters to start out weak while the monster continue to scale up and the character development is usually just a single trait, but those minor gripes don't take away from a rather interesting system. Add on that with a great combat system that rewards pattern memorization, music that is catchy if a bit repetitive at times and dialog that had me intrigued throughout the entire game and you have an under rated gem on your hands. The dragon boss battles at the end of the chapter are truly rewarding and are the meat of the game. Also, there is a great leveling system where gaining items increases stats throughout the game with most of them carrying on each generation. Overall, I was pleasantly surprised by Dragon Valor. Being my first real generational game, I really enjoyed the concept and what to try more of in the future. There are some little annoyances and the graphics are hit and miss, but for a game I've heard little about, I enjoyed myself. If you love Action RPG's and are interesting in a generational story, Dragon Valor works! Insominac Games has created Spider-Man: The Original Netflix Series: The Game. This is a finely crafted experience that fully plays into the Spider-Man fantasy while also nailing what makes him such a fun and compelling character, as well as getting into the parts that make him human. If you enjoy Spider-Man you owe it to yourself to play this game. At its heart, this game is Arkham City where you replace Batman with Spider-Man and make the appropriate tweaks to the world. The combat is a similar sort of flow based system, but it's both a bit more forgiving (you don't lose your combo for whiffing a hit) and gives you a bit more to do because of the heavy integration of Spider-Man's web shooters. The combat is always fun, and there are so many approaches to dealing with your enemies that you never get bored with it. There's even the predator stealth system from the Arkham games, though here it is deemphasized to mostly be a way of reducing the odds against you and having fun screwing with enemies (though there are a handful of story missions where you have to do it quietly or fail). Swinging through the city is incredibly satisfying, and there's so many little touches in the game; you can get hit by a train and die, or you can high five people on the street (and others will either say their kid loves you or complement your cosplay). The game's collectables are both meaningful (they flesh out the world quite well) and are introduced over time so that you aren't overwhelmed with "gotta do em all" syndrome like so many open world games. Plot-wise there is a long progression, where you're following a main thread with several digressions because Spider-Man is a rounded character. Then, when you think you've resolved things, the seeds planted through the game sprout and lead to the big climax and some really awesome boss fights. The game includes Spider-Man's trademark banter, and they managed to strike a decent balance with it. There tends to be one or two banter lines that go along with the crimes you run into in the city (one or two per type of crime), and then in the stories there are specific pieces inserted. They avoided the "ok, you beat up five guys, time for a random quip" thing that could get it to really get old. And late game there is a really epic series of jokes in one of the boss fights. And, like any good MCU-esque work, the game has a mid credits and a post credits scene which give hints at what can come next. The game has left a bunch of foreshadowing of things that will show up in DLC missions and for a sequel (and I certainly hope they decide to make one). I took alienjesus’ advice and played through another Wonder Boy game, the absolutely glorious Wonder Boy III: The Dragon’s Trap. I know a lot of you have beaten this; so, I won’t write too much. I will say, however, that the game is a splendid open-world platformer that looks and sounds great, plays better, is exceptionally well-designed, and is tremendous fun. I loved it, and it is now my favorite SMS game. (Sorry, Phantasy Star!) Highly recommended. I forgot you were playing variants. The Dynastic Hero is very literally just a reskin of WB in Monster World, so maybe you might not want to jump in right after you beat the WB version. If you are also playing ports, sample the TG-16 version of Dragon's Curse (Trap). It's rather nice.